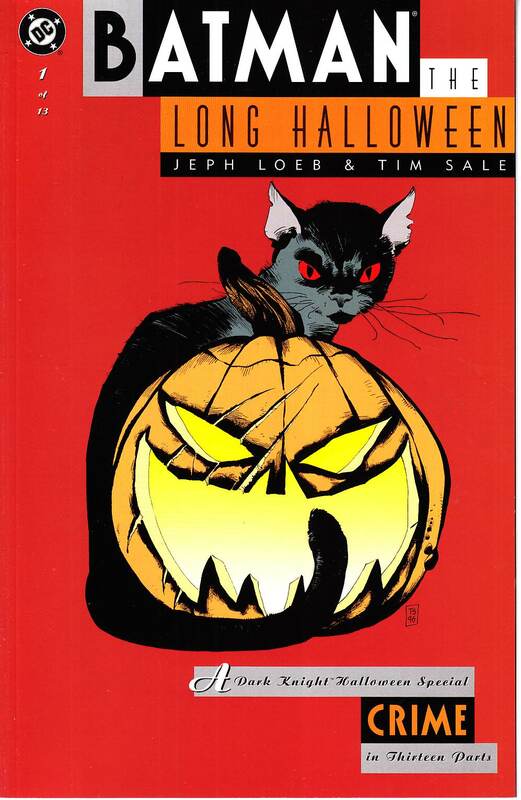 Batman the Long Halloween, a prestige format series by the highly acclaimed and Eisner award-winning team of Jeph Loeb and Time Sale. This thrilling story features some of the most deadly and cunning members of Batman's Rogues gallery and a dramatic retelling of the origin of the tragic villain Two-Face. In this first issue (called "Crime"), Batman and Harvey Dent team up to find evidence against Carmine Falcone. Catwoman and Batman crash Falcone's penthouse. Script by Loeb, art and cover by Sale.